Climate change has a dangerous twin that is killing the UK’s countryside even more quickly. We know that climate change is exacting a catastrophic impact across the planet and upon the UK’s wildlife, but running in a clear parallel is another system in chaos – the earth’s nitrogen cycle. As we and our politicians grapple to understand the huge upset in the carbon cycle, exacerbated by our excessive consumption, little attention is focused on this equally dangerous phenomenon. And its being fuelled in the fields of our countryside. 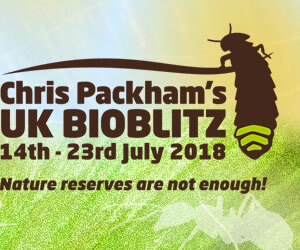 Chris Packham’s Bioblitz started on Saturday 14th July. For 10 days, he and a team of experts will be visiting 50 wildlife sites in Scotland, Northern Ireland, England and Wales to highlight the extent to which the nation’s wildlife is under threat. One of the threats facing our wildlife is the addition of chemicals to our countryside, including nitrogen. Now, this might sound like an O-Level or GCSE flashback… for many people the nitrogen cycle was something they learned for an exam and then forgot all about. But there’s big money in fertilizers, in understanding nitrogen. The problem with these nitrogen-based fertilizers, particularly on farmland, is that only a proportion of the nitrogen applied is taken up by the crop, or target plants, the rest escapes into the wider ecosystem via aerial pollution, into the surrounding soils, or into water courses via run-off. The surplus affects wildlife in different ways. Rain causes excess nitrogen to wash off fields into watercourses. It enters rivers and causes algal blooms, which, in turn, affects birds and other wildlife, including in Poole Harbour, an internationally important site for birds. Paul Morton from Birds of Poole Harbour, is very concerned about the impact of nitrogen entering the harbour. Back to the science lesson… As well as the crops where the nitrogen is applied, there are some wild plants, which can take up additional nitrogen in the soil very well, but this is at the expense of the majority which cannot. This is why many farm woodlands, hedge-banks and road verges are now dominated by rank grasses, nettles, docks, hogweed and cow parsley, all of which soak up the excess nitrogen, and then out-compete their neighbours. This might seem like nothing new… so why is it still an issue? 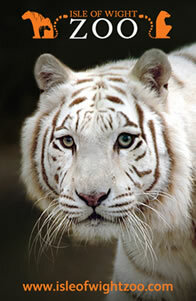 Why is this threat not being addressed at a fast enough rate to preserve our wildlife on a nationwide scale? During the course of the Bioblitz, Chris and his team will be raising awareness of some of the threats affecting our countryside, our wildlife, and looking for solutions that people can implement to bring about change. The Bioblitz campaign has a scientific purpose too. The results of this 2018 audit will be recorded to create a benchmark; this will help measure the rise and fall in numbers of different species in the future. By knowing what’s actually happening in our countryside, we can all work together to find ways to protect it for future generations to enjoy.